The race was won, the points were banked and a run in the Kentucky Derby moved a little nearer. But that only tells part of the tale of Gronkowski's victory at Kempton on Wednesday. 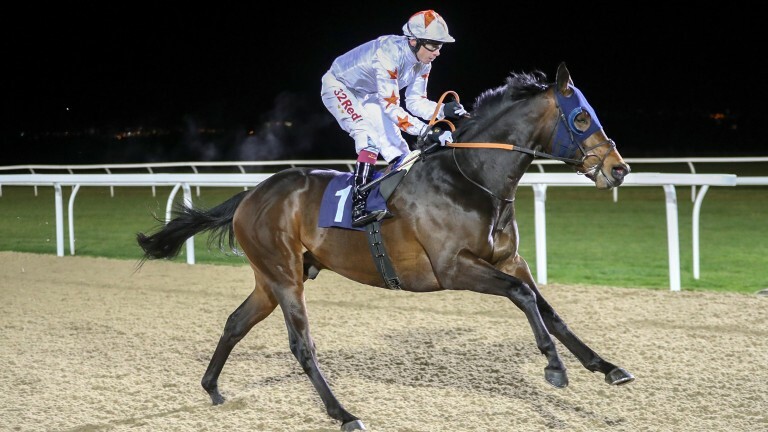 For while the Jeremy Noseda-trained three-year-old clearly possesses an abundance of talent, he has yet to find the best way to utilise it and won despite pulling hard and running around in the closing stages. Victory in this rearranged contest, which was lost to snow last week, earned Gronkowski 20 points in the European 'Road to the Kentucky Derby' with the leader at the end of the series earning a spot in the first leg of the US Triple Crown on May 5, provided they have been nominated. Held up in midfield in the early stages, Gronkowski was keen and pulling under jockey Jamie Spencer, who elected to make an Arazi-esque style move around the field on the home bend to press the leader Ventura Knight. Asked for his effort entering the final two furlongs, Gronkowski took time to hit top gear, but extended impressively once his big stride was fully engaged. However, he drifted right hampering the closing Court House in the process, leading to a stewards' inquiry. Gronkowski kept the race, allowing his big-spending owners Phoenix Thoroughbreds to continue dreaming of the Kentucky Derby, for which he is a general 33-1 chance.